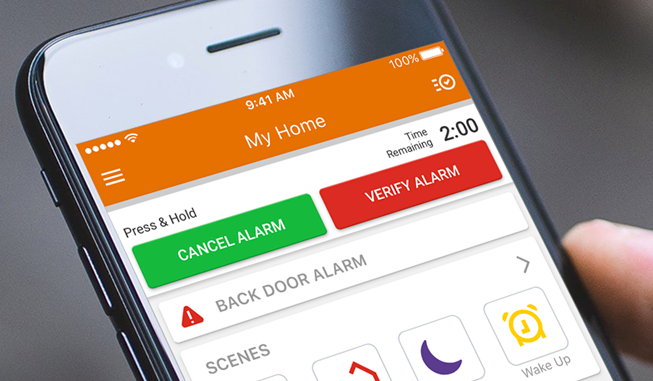 When an alarm occurs at your home or business simply open the alarm.com App and look for the “Cancel Alarm” and “Verify Alarm” buttons.” The buttons will remain at the top of the app even if you scroll down. Hold the “Cancel Alarm” button for 3 seconds to turn off the siren and let us know that it is a false alarm. Hold the “Verify Alarm” button for 3 seconds to let us know that the alarm event is real. Using the app to confirm your alarm’s status is a quick and convenient way to let us know the status of the alarm.